Okay, I'm not talking a person here...you got me. Nope, I am talking about a new baby product that has recently hit the shelves! The DayDreamer is the newest solution for inclined sleeping for your young baby. We've been having Orrin lounge around in the DayDreamer for nearly a month, and it's definitely a nice option for baby sitting! My number one FAVORITE feature is the breathable shell. See all those holes? Well, they let air come through and really help keep baby comfortable. The cover is machine washable, which is super nice. I do wish that the white stripe near the head would have been a chocolate brown, though. Babies tend to sweat and white under their head tends to get discolored. A darker fabric here would be nice. The fabric itself is super soft. There is foam padding that is underneath the cover (which can also be washed per instructions). The harness is durable and easy enough to adjust, but secure. It is also covered by fabric pieces, and has a fold over piece to protect the closure. The covers for the straps are not sewn to the seat or straps, so they can be washed, too...but this also makes them really easy to lose. My older little kids like to run off with them. It would be nice to see some sort of snap or other way to keep the covers on the straps. 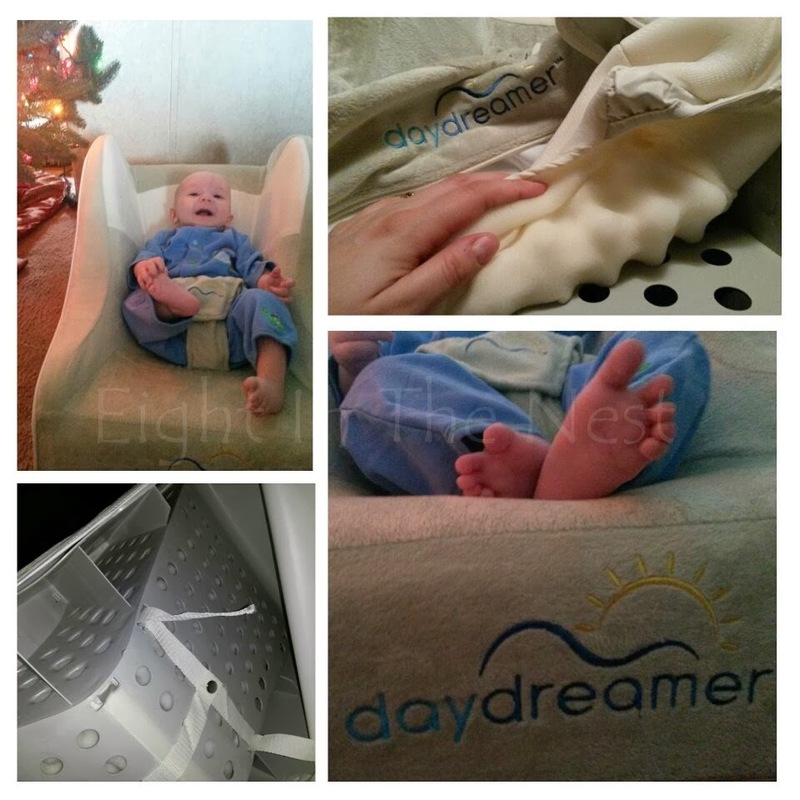 The DayDreamer is a great seat for those babies who need to have an inclined sleeping area. I know a lot of people say to leave babies in their car seats to sleep, but that has been shown to be unsafe. The DayDreamer has a 28° incline too keep baby comfortable as well as high sidewalls to help prevent your baby from falling out (again, always supervise)! I like the Green one the best. they are all cute. my friend is pregnant now and she thinks its a girl, but since its not confirmed I would probably get green. I'd love the green one because it would match with most of my house. I would go for the pink! I'd love the green one! Even though I don´t know if it would be a boy or girl, I think I would go with blue. It is the color of the sky and ocean and I think it would be calming for the baby.